9.6" x 15.5" stitched on 14 count. 7.5" x 12.1" stitched on 18 count. 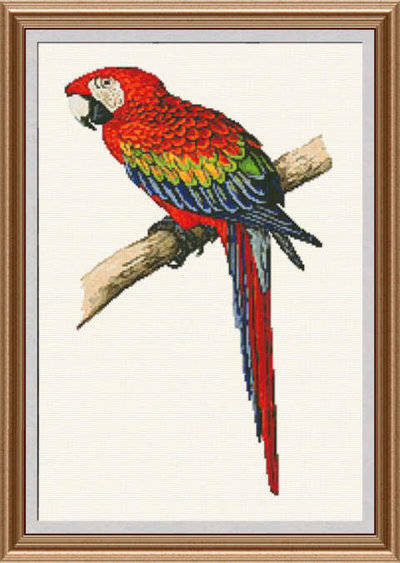 Scarlet Macaw cross stitch pattern... This counted cross stitch pattern of a Scarlet Macaw was created from an antique print by W T Greene.